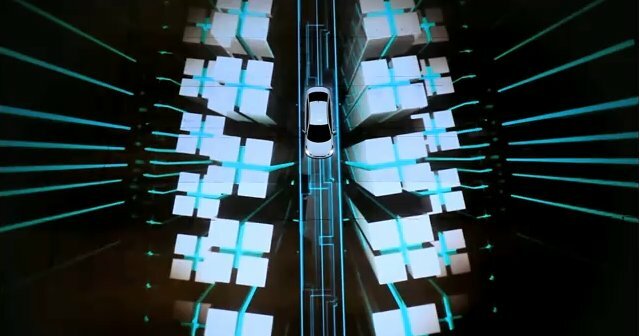 The Auto Marketing Blog: Is 3D Projection the New Flash Mob Marketing Event? Is 3D Projection the New Flash Mob Marketing Event? I've watched a few flash mob marketing events on YouTube and wonder why am I watching this. It's interesting for maybe 10 seconds but a 1:38-minute video of Can't Touch This... Is this really a good use of my time? I find I have the same experience with the latest trend in event marketing - 3D Projection Imaging. Just like flash mob videos, 3D Projection Imaging videos always show the people at the event with their mobile phones capturing the moment and being in awe of what is happening where they are. That experience doesn't translate well for someone watching it happen on a YouTube video while at their computer. I guess you just had to be there to really get the experience. 3D Projection Imaging is cool looking and it is certainly more likely to get shared than say the typical TV ad or other attempt at social content, but that's a guess as I don't have any deep dive analysis into whether that is true or not. What I do know is that interesting content that is promoted effectively is likely to see more shares than stuff that is boring and/or has no media push. Hyundai comes with the latest attempt at trying to capture interest with their Accent promotion and even include a Making of Film. The execution is nicely done with the suspended vehicle looking as if it is driving in multiple scenes there on the building. And even if 3D Project Imaging is starting to get old (see several automotive examples below), it is something fairly recent here in the States and showcases Hyundai's tag line "New Thinking. New Possibilities" in a creative way. For more examples of how automotive marketers have used 3D Projection Imaging in campaigns, please checkout the following examples from Volvo, BMW, and Volkswagen. Thanks to the Digital Buzz Blog for covering the Hyundai example. Checkout their review here. I really like what Hyundai did. Haven’t seen it done anywhere else, till seeing your examples, but I really think it speaks to what Hyundai is doing and the market they are targeting. I agree the Hyundai ad is very nicely done and it is true that the 3D Projection Imaging trend has yet to hit the US in a big way. So Hyundai is at the beginning of this trend in the US, but like Flash Mobs I expect to see a lot of copycats that will tire this approach very quickly.